The musicians you see on the picture above come from all different walks of life. They have come from many different regions of the world and have experienced, learned and performed many different genres of music. In January of 2013, the sextet was formed because of a common bond they all share, their love for AfroCuban and Caribbean Latin music. Many of them as you will notice from their musical biographies, were exposed to Latin music influences at a very young age but no matter what the time period in their lives, they banded together to perform their very best in Latin music for all occasions. Many songs they play are timeless classics. Others are songs designed to delight many a listener and spectator into clapping, dancing or toe-tapping along with their rhythm. Their musical influences capture the essence of many Afro-Cuban and Latin music recording artists such as Arsenio Rodriguez, Benny More, Trio Matamoros, Bobby Capo, Rafael Hernandez, La Sonora Matancera, Mario Hernandez, Trio Caribe and the Buena Vista Social Club to name a few. Their musical motto: Ecos del ayer con el sabor de hoy." - "Echoes of yesteryear with flavor of today." 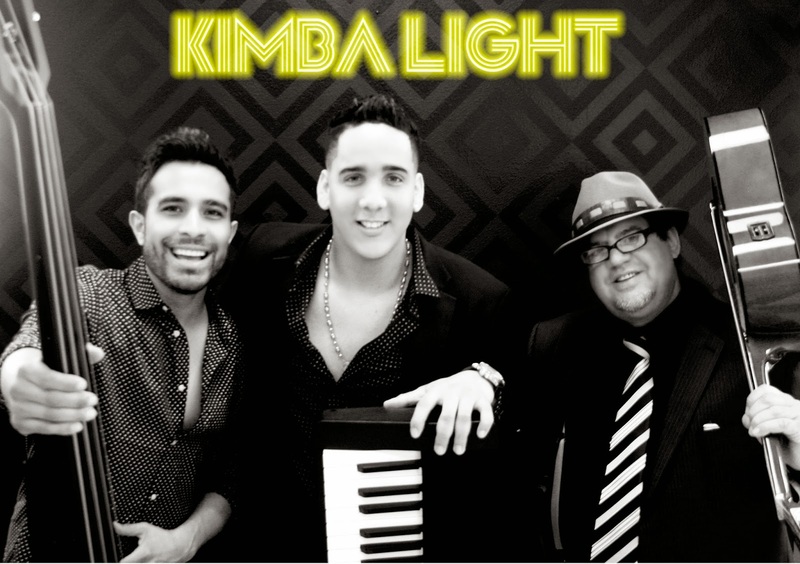 This group also has their own original timba music; their timba music is known in Peru (#5 on the charts). Based out of Tijuana B.C. and San Diego. This Orchestra WAS FORMED IN THE YEAR 2005, AFTER the ARAMIS GALINDO ORCHESTRA, who came to Mexico in 2003, disintegrated. La Farandual orchestra was then created, BUILT BY TWELVE musicians, WHERE MOST OF the orchestra are of CUBAN ORIGIN. 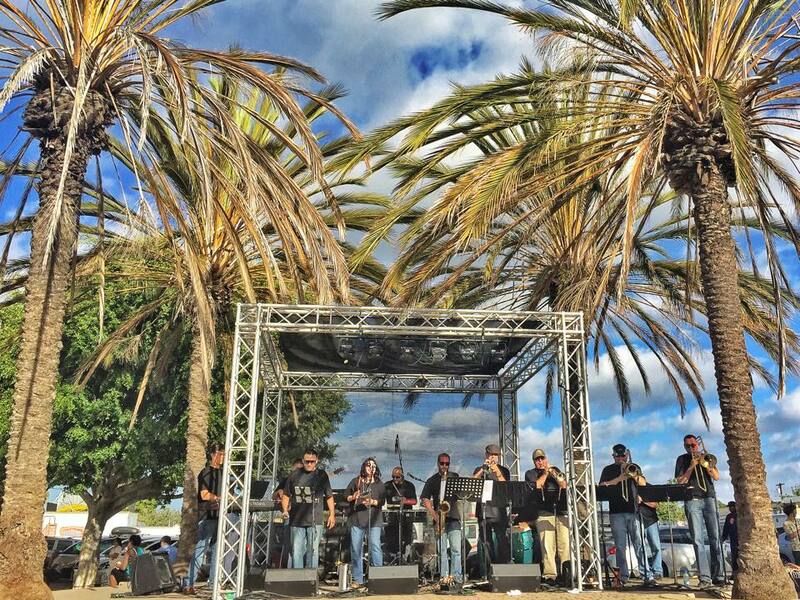 La Faradula BEGAN TO DELIGHT the public with their polyrhythmic sounds IN THE CITY OF TIJUANA, Mexicali and Ensenada through the Menealo Nightclubs chains in Tijuana and Mexicali as well as the MANGO Mango CLUB in Ensenada, Mexico WHERE they presented themselves as La Farnahdua Orchestra for the first time. They were well received by the public in kind to their music integrity variety and arragement flexibilty playing Cuban SALSA, MERENGUE, BACHATA and CUMBIA to please their audience. IN 2005, they were INVITED TO OPEN for OSCAR DE LEON IN El Antiguo BABY ROCK in TIJUANA, Mexico, WHERE THE ORCHESTRA PRESENTED WITH PROFESSIONAL QUALITY THUS GIVING them a HOME and a successful CAREER as a professional Salsa Cubana ORCHESTRA. As their success continued on, they were offered a permanent contract gig for the most important nightclub chain and venue for Latin tropical music in MEXICO, the Mambo Cafe. For about two years, La Farandula toured all around Mexico playing their music in VERACRUZ, CANCUN, ACAPULCO AND the capitol, Mexico City. They shared the stage with top Latin artists such as La India at CARNIVAL de VERACRUZ AND IN VARIOUS EVENTS AND CONCERTS sponsored by the Corona Beer Company working HAND IN HAND WITH well known musicians of a variety of genres such as MERENgue ORCHESTRA from the DOMINICAN REPUBLIc, GUAYACAN ORCHESTRA from COLOMBIA AND Puertican artist EDDY SANTIAGO. IN 2007, they captured the LATINO MARKET IN THE UNITED STATES, and played for the first time as the support orchestra for PUERTO RICO artist CANO ESTREMERA, MAELO RUIZ and DAVID PAVON, AMONG OTHERS. La farnadula also played exclusive concerts at FLORENTINE GARDEN IN LOS ANGELES (HOLLYWOOD) AND INTERNATIONAL SALSA FESTIVAL IN EUROPE (ITALY, GERMANY, BELGIUM etc. ), which continued their successful CAREER IN THE UNITED STATES. 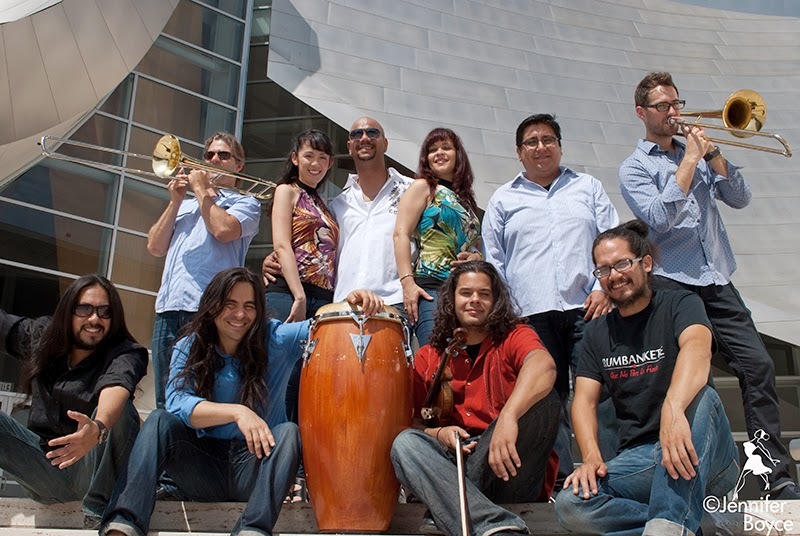 RUMBANKETE - Founded in 2004 by Denis Jiron, Rumbankete has earned a reputation as one of Los Angeles' most exciting and progressive salsa orchestras. With members representing Cuba, Mexico, Nicaragua, Germany, Colombia, Puerto Rico, El Salvador, Iowa, Minnesota and Los Angeles, this multi-cultured musical out t has developed a unique musical style unlike any other on the West Coast. 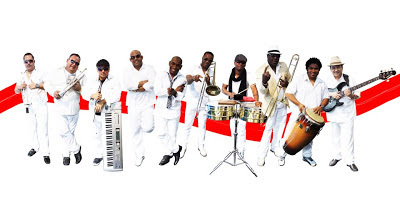 Known for its explosive rhythm section, powerful trombones and energetic vocal delivery, Rumbankete has earned the moniker of "La Máquina del Sabor", a take no prisoners music machine able to get any audience moving! 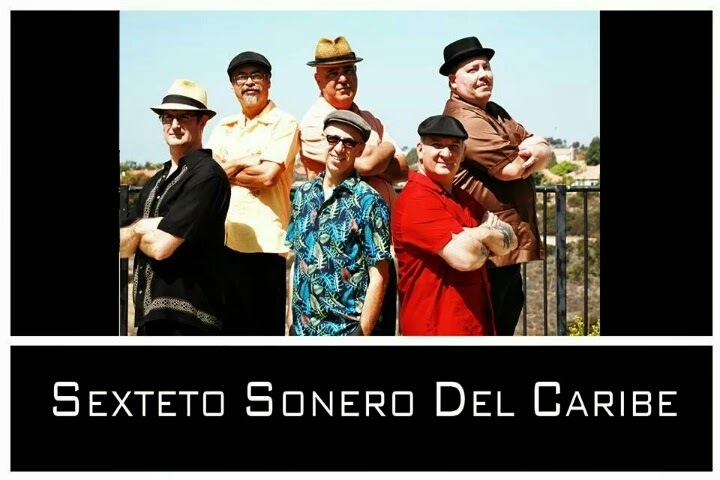 This is San Diego's very own timba/salsa band. Carlos "Charlie Chávez is a virtuoso percussionist whose performances are a fusion of talent, passionate spirit, and his rigorous study of the history of Latin percussion. Charlie grew up in Vera Cruz, Mexico. The city's rich Cuban and Caribbean rhythms had a profound influence on his decision to pursue a formal education in music. At the Conservatory of Music, University of Xalapa, Vera Cruz, Charlie studied Trombone, Percussion, and Piano. Since moving to San Diego in 2001, Charlie toured Europe and United States with Lila Downs and Maldita Vecindad. He has performed with some of Jazz and Latin music's greatest artists including Poncho Sanchez, Charles McPhearson, Gary Burton, Chuchito Valdez, The Spanish Harlem Orquestra, Celia Cruz Salsa Orquestra and Paquito D'Rivera in Boston. Charlie has become one of the most important percussionists in Southern California, performing with Gilbert Castellanos Latin Jazz Ensemble, Dave Scott Jazz Trio, Orquestra Binacional de Mambo, B Side Players, Allan Phillips Project and Agua Dulce Band. He also heads his own salsa group, Afrotruko, which has not only performed at major venues in Southern California, but has opened for some of salsa's biggest stars. In 2012, Charlie Chávez y Su Afrotruko Salsa Band was selected to open for Ruben Blades on the 30th Anniversary Celebration of Tijuana Cultural Center, as well Oscar de Leon and Puerto Rican band Plena Libre. Charlie has recorded with Tijuana All-Stars, Orquestra Pico de Gallo, Gene Perry, Oscar Aragon, Sasha Boutros and Taylor Hicks. Most recently, Charlie had formed his own Latin Jazz Quintet and the Mexican Reginonal Trio Perla Negra. Charlie has led percussion clinics in Mexico City, Humboldt State University in California and Berklee School of Boston. Moreover, he has organized master percussion workshops in San Diego bringing in world class percussionist Georgie Padilla, David "La Mole" Ortiz, Tomasito Cruz, Pablito Rosario, William "Kachiro" Thompson, and the great Jose Luis Quintana "Changuito"). Charlie is also instructing the next generation of Latin percussion players. His weekly classes meet in Tijuana and in San Diego. San Diego Afro Cuban Collective - Alex Guillen hosts this Meet-Up group where percussionists both new and seasoned come together to jam and practice and build community. Very friendly group. On their page, it will give you a listing of other live music events. I highly recommend their website for news in the music scene.